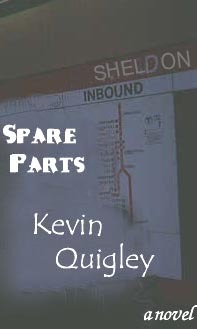 First Line:"�Casey, we have to talk.�"
The novel Spare Parts asks the question every one of us must answer eventually: when is it time to grow up? Casey Dooley, a struggling writer, didn�t much think about it until his girlfriend, Diedre, moved out of their apartment to find a new life in Cleveland, Ohio. 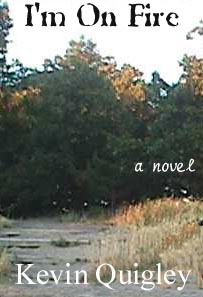 All of a sudden, Casey is alone, unable to write the stories he used to love, numb to emotion, and stuck in the limbo of his extended adolescence. After busting through many harsh trials, Casey meets Angela Martin. She�s a pretty woman who works behind the counter at the ice cream shop where Casey goes to drown his sorrows. Slowly, they become friends, Casey not knowing yet that he has already begun to fall in love with her. As he and Angela slowly, carefully, fall in love, Casey begins to understand the true meaning of love. Love doesn�t mean finding the most beautiful woman and idolizing her from afar, or investing every shred of yourself into someone else, devastated when she lets you down. Love is about understanding, and compromise, and change. Love is about picking up the spare parts and making the machine move. First Line:"In the darkness of burning, they come seeking babies." Laurie Reardon tries to tell herself she is a normal high school sophomore. She has a new boyfriend, close friends, and she has dedicated herself to improving her life. However, something sinister is happening in her hometown: a serial killer who slaughters people and takes body parts away. But for Laurie, the greatest horror is wondering if the killer might be ... her. Obsessed with the murders, Laurie begins a one-woman crusade to find the truth. Could the killer be her stepmother, the wicked Gina? Her boyfriend, sweet Scott Fischer who works for the school literary magazine? Her father? Herself? I'm On Fire is a novel about discovering secret things in dark places, where nothing is what it seems, and no one is ever really safe. Will the killer be discovered, or will it live to kill again ... and again ... and again?